Regular readers will know that I like making and decorating cakes, but have only taught myself and don't really know how to do it properly. 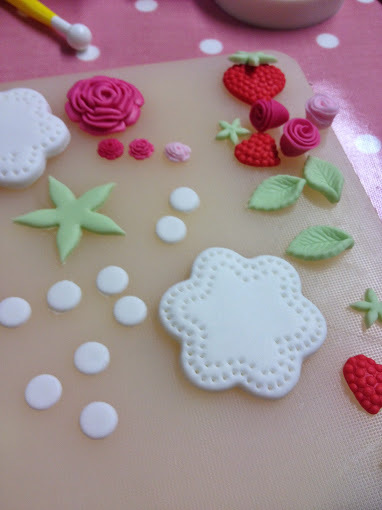 So last weekend I booked up for a course at Cake Your Day in Badshot Lea. 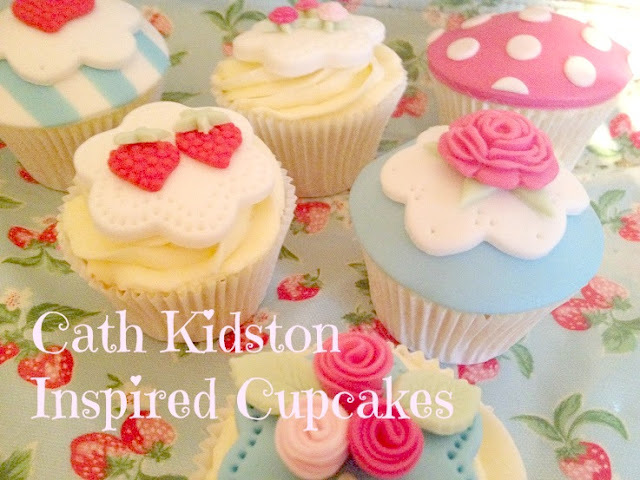 There are a number of courses offered, but as a Cath Kidston fan, I couldn't resist some cupcake designs featuring stawberries and flowers. The course starts by Emma introducing you to the techniques you will use. Then it is down to you. The little hints and tips I learnt are going to make a big difference in my decorating skills. We started by making the decorations so that they could dry out a bit and become hard. We were shown how to pipe buttercream as well as how to apply it, if we were making a dome cupcake. I had a fantastic time and will now be practicing what I have learnt. I am sure you will see a lot more cupcake designs from me in the near future. I would highly recommend the course to anyone that lives near Camberley and I already have my eye on another course there! Your finished cupcakes look absolutely gorgeous! The challenge is can I make the same at home! lol. I think I need to make and give them to people or I will be the size of a house! Those cakes look amazing, I would love to be able to do that! Well done!